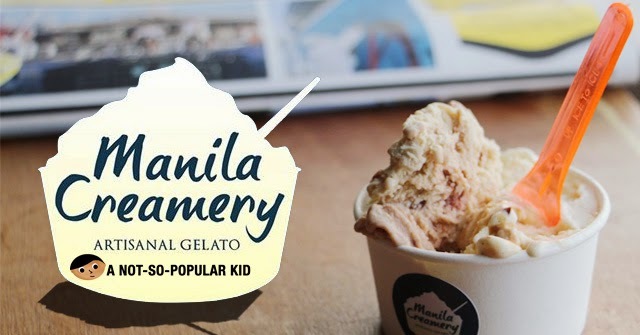 Beat the Heat with the Newest Gelato in Town - Manila Creamery! Holy Heat! It's summer already foodie friends, and it's the best season to cool down with a cup of gelato (or anything cold for that matter). Just imagine feeling all chilly as the cool temperature transfers from the cup to your hand. (Well, scientifically, it's the warmth of your hand that transfers into the cup, but nah, I bet you don't care about that). How about the thought of the wintry air brushing through your face as you move the spoonful of gelato closer to your mouth? And finally, how about perfectly ending everything with an icy kiss? Aaaah. Perfect-gelato moment. Anyway, what's my point? Well, I just carried away. All I want to say is that there's this new gelato shop offering awesome flavors! 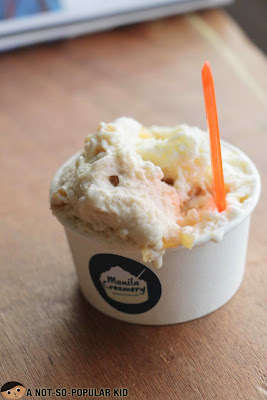 It's called Manila Creamery! 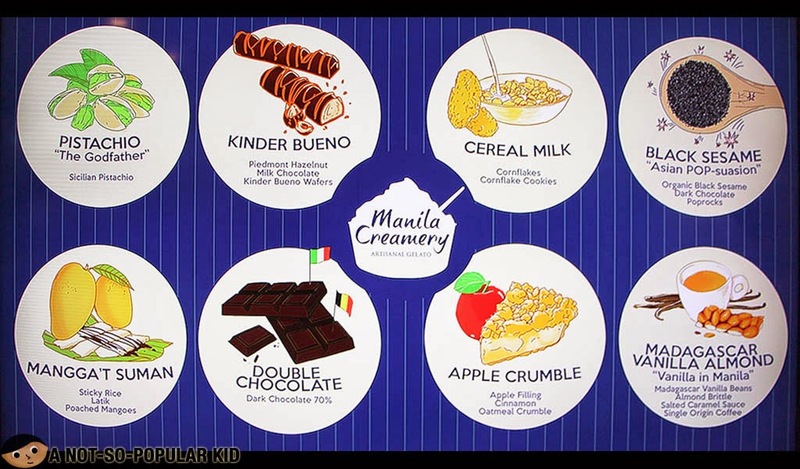 Manila Creamery - what's in the name? Manila Creamery is a company brought into existence by gelato specialists who studied in respected gelato schools in Italy. 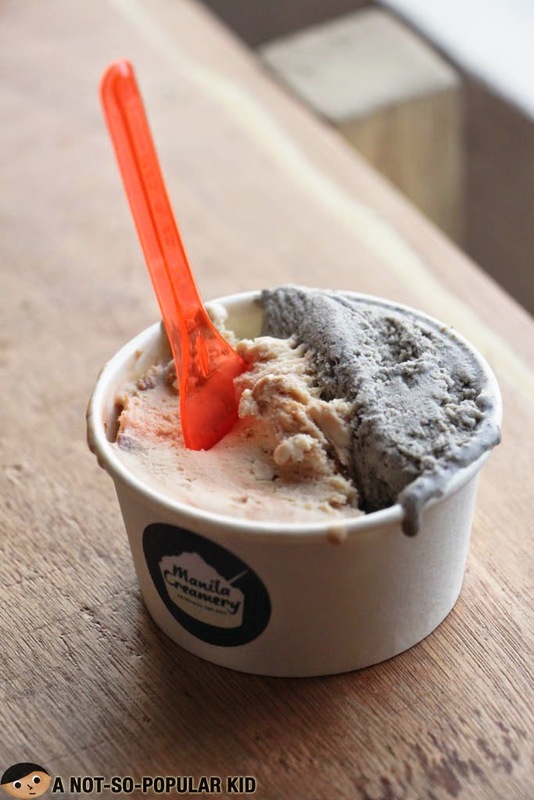 The establishment makes use of their time-tested techniques as well as their creativity in crafting modern Italian gelato for Filipinos to enjoy and experience. It is committed in producing delicious hand-crafted artisanal gelato using only the fresh and high quality ingredients. There are currently 8 flavors available, and I was lucky to give them all a try. The Mangga't Suman had this chewy sticky rice bits making the gelato interestingly playful in the mouth. It's a good take on the gelato, and I like how it has its Filipino identity. The mango though extremely tasty adds up more sweetness to the base. It may be excellent but a little too sweet for some (or me for that matter). The Apple Crumble was generally fine and authentic but a bit regular for my palate despite the touch of cinnamon. Perhaps I'm not fond of the flavor in itself, since I don't enjoy apple pies. The Kinder Bueno was nothing but awesome as it captures the kinder bueno goodness that we love. It was sweeter than what I can usually tolerate, but my friend Pam liked it the way it was. Still, I find this definitely lovely! The Madagascar Vanilla Almond is a bolder step-up for those afraid to try something new since the base is vanilla. However, it was more than that as it had this interesting crunch from the almonds that tasted really fresh. The Cereal Milk is pretty good and recommended for those who want to try a more familiar flavor, but I must admit that even if it was simple, it tasted really amazing. The Black Sesame is something for the adventurous as it offers a interestingly peculiar blend of roasted sesame creating bitterness and eventually matched with sweetness from the chocolate crunch. It was also sensational in the mouth. However, I'm guess that it may not appeal to everyone due to the potent sesame tang. Among all those that I tried these two are my top favorites! 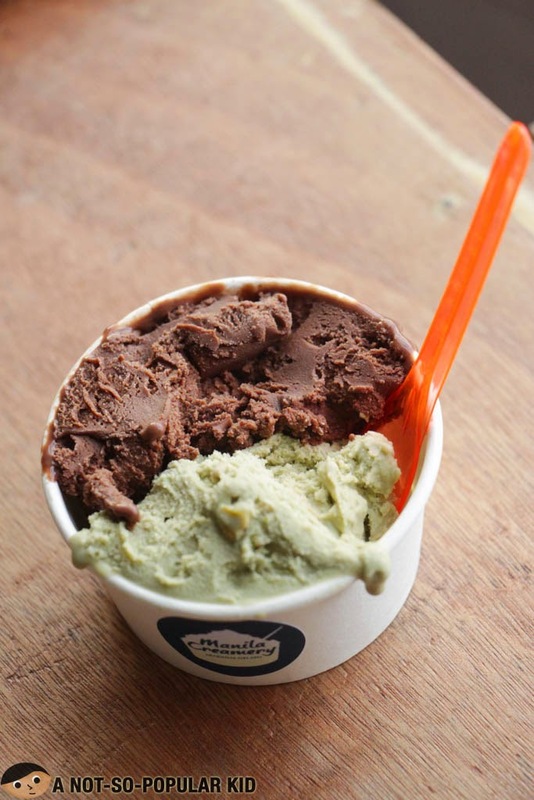 The Sicilian Pistachio had this nutty and balanced sweetness with really dreamy pistachio accent. It was undeniably naturally refreshing and suave! The Double Chocolate also hit the right spots, and I love how dreamy it was with a magnificent highlight on the cocoa goodness! Generally the texture of the gelatos of Manila Creamery is smooth with no hint of tasting anything artificial. Yeah, it's nothing but pure gelato. 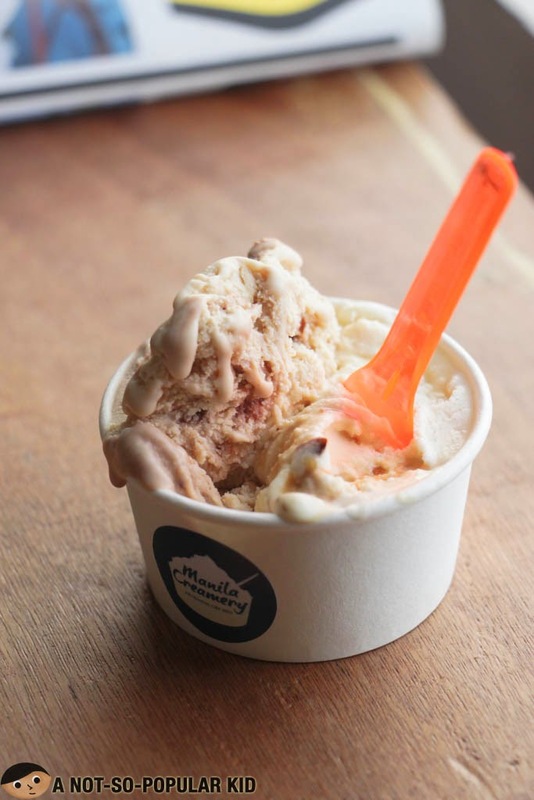 Surely this gelato shop has a lot of potential, so watch out 'cuz this addition to the gelato world may rock it! Location: No fixed location yet, but catch their Facebook page for updates on where they will temporary pitch. Also, they might jump from one bazaar to another. Sure Paolo! All the best to your newest venture! Keep spreading sweetness. Haha!